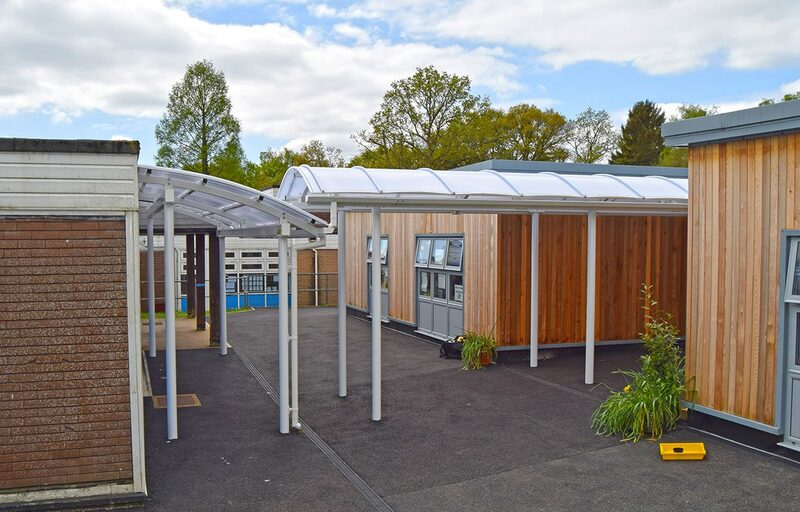 Following the addition of some new classrooms at Hillside First School, the council approached Fordingbridge to design a solution to link the old with the new classrooms. Fordingbridge collaborated with the main contractor to ensure all design aspects accounted for any specifics to the site. One such challenge was the height difference between the old and new build. To overcome this, Fordingbridge decided to install two canopies, the first with a barrel vault roof and the second with an asymmetric roof. These designs not only work well together aesthetically, they also allow one to discharge onto the roof of the other whilst negotiating a 90 degree change of direction and different eaves heights to the two buildings. The overhang is off sufficient length to prevent water penetrating the gap between the two structures. 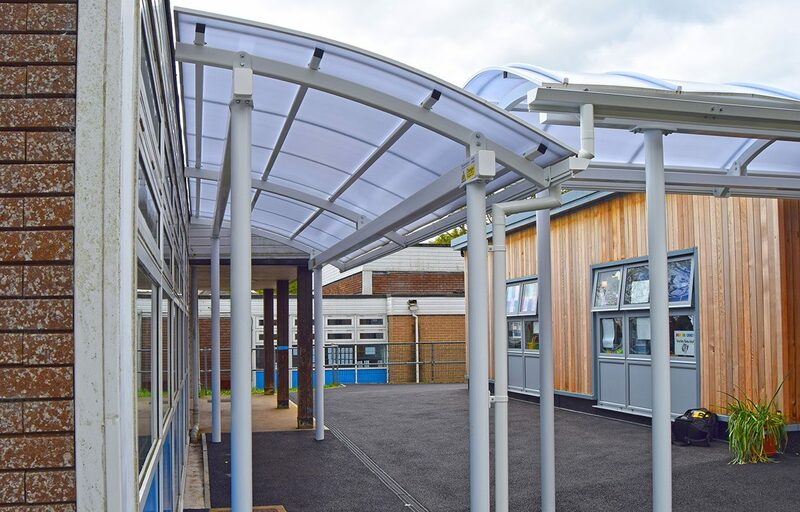 The canopy is completed by an Opal 60 fabric membrane covering. 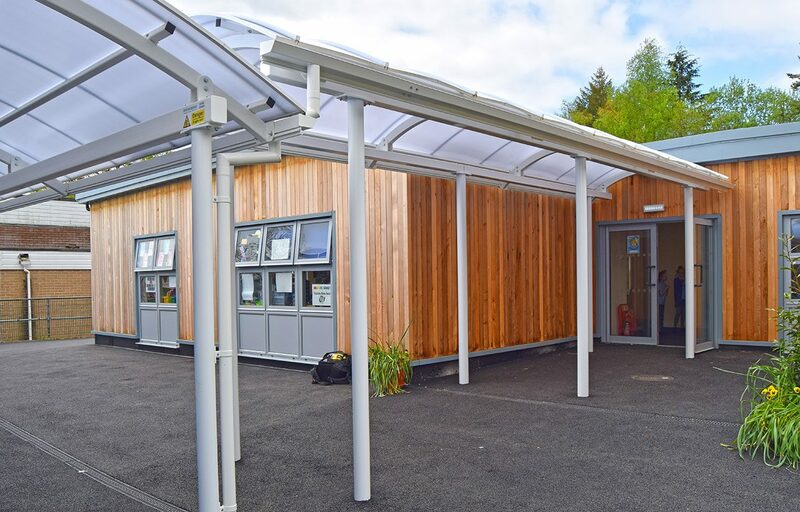 This fabric has been developed exclusively for Fordingbridge and is an ideal roofing solution for contexts that require some light intrusion while also protecting its subjects from harmful UV rays and rain. Both structures come with industry leading guarantees, so you have total peace of mind.